A new show, Married at First Sight, has people wondering if social science can create a compatible couple. The Beauty in a Flash Poll took place on Good Morning America, and Tasha Monique got a beautiful new look. Plus, a performance from the cast of Holler If Ya Hear Me on Good Morning America. Would you marry someone the moment you met them? On the brand new reality show Married at First Sight, contestants marry each other the moment they meet. There are six people looking for love, and four relationship experts are determined to match them with their perfect partner. Sexologist and relationship expert Logan Levkoff said that Married at First Sight is a social experiment, and that it plays with the idea of social science playing a role in match making. 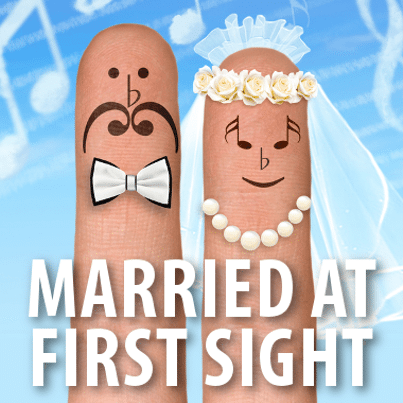 Many critics say that Married at First Sight is making a mockery of marriage. Professional matchmaker Paul Brunson said his heart goes out to the couple participating on the show, and that he feels like they’re being duped. He said the fact that these marriages are starting in a fishbowl is a sign of how bad things have gotten with reality TV. Once the couples are paired, they agree to marriage without even knowing the other person’s first name. The show then documents the couples for the next five weeks, and they then choose if they want to stay together or get a divorce. The Beauty in a Flash Poll was back on Good Morning America. Viewers voted on what they wanted Tasha Monique’s new look to be. When she looked in the mirror and saw herself for the first time, Tasha Monique got emotional and said that she saw beauty. The team captain of the makeover, Gretta Monahan, said the wrap dress is very flattering on Tasha Monique. Viewers chose the wrap dress, as well as a blue purse to complete the look. Ted Gibson took care of Tasha Monique’s hair. Ted Gibson said the bob hairstyle is in right now, and he’s telling every woman she should cut her hair like this, so he was thrilled that viewers chose this look for Tasha Monique. The cast of Holler If Ya Hear Me performed live on Good Morning America. The Broadway show features Tupac songs, and is inspired by his songs. The cast performed their routine to the song “California Love.” The cast was extremely talented, and the performance was fun to watch. Kathryn is a freelance writer from Cincinnati. When she isn't writing, you can probably find her reading a book or looking at pictures of puppies on the internet.